Thought you’d never see me post again, eh? I think this is the longest (2-1/2 wks) I’ve gone without posting since I started this blog up in February ’09. I just got really, really busy. One would think that the summer would be all fun and stuff, but nah, not for me. Work has been crazy busy, and I had to get my house ready for about 30 guests this past Saturday, which meant a week’s worth of cleaning. I rely in many cases on what my blogging friends post to give me inspiration on what to blog about. I also rely on tweets. But since I’ve been out of the loop– as far as the Internet is concerned–for the past 2-1/2 weeks, I don’t have the latest scoop on anything. So, I am going to blog about something that caught my attention 2 months ago. It was a NY Times article titled “Does Moving a Child Create Adult Baggage?” by Pamela Paul. Without a doubt, the answer to the question is “YES!” This is from personal experience. 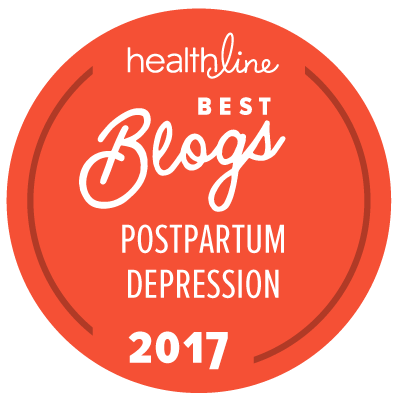 Now, before you think I’m digressing from the topic of postpartum depression, read on…and read on all the way to the end of my post, and you’ll see why I am writing about my nomadic childhood experience. When people ask me what my home town is, I can’t say North Caldwell, NJ, even though that is where I spent the majority of my life. Plus the fact that I didn’t care to live there at all…I don’t have any pleasant memories of my 20+ years as a resident there. Before North Caldwell, I had lived in 7 other places. That’s 8 homes by the time I was in 7th grade. For a while, I was moving on average once a year. My brothers were basically born and raised there, so all the friends they made in preschool followed them through to elementary school and then onto junior high and senior high. I, on the other hand, had to make friends from scratch when I started 7th grade for the first time in this school district. I had to do that at the toughest stage of any person’s life, which is puberty–a roller coaster ride (and boy, do I HATE roller coaster rides) I wanted to get off of so many times but couldn’t. I really hated life then. It didn’t help that I was shy and sensitive. Not sure if I was born that way or that was the consequence of moving so many times. Plus the fact that I was the only Chinese girl in a class of about 350 students who were primarily of Italian or Jewish descent. Why else do you think the producers of “The Sopranos” chose to base their show out of N. Caldwell, NJ? Teenagers can be mean to begin with. When you put a stranger in their midst, and one who is quiet, probably not the most attractive and definitely not the best dressed, and Chinese to boot, you get P-R-E-J-U-D-I-S-M.
Now, back to the article. Up at the top, the author writes “THE GIST: Moves in childhood may do long-term harm.” I agree wholeheartedly. The long-term harm it has done to me is a lifelong insecurity in terms of my relationships with others, which is key to my generally low self esteem that I have been fighting to overcome all my life and hasn’t helped my job situation all that much, believe me. Everytime I tell people that I used to move a lot, I get the same ol’ question “Oh, is your father in the military?” It’s gotten to the point that I beat people to the question with the explanation “We weren’t military or anything. It was due to my father’s job situation.” He kept moving because he couldn’t find a job that he wanted to stick with. It wasn’t until he established his own company, which is when we moved to N. Caldwell, that he was content to settle down. Timing was great for my brothers. Lousy for me. I could’ve told people the same thing even without reading this article. This is the reason why my husband and I intend to stay planted where we are now until our daughter graduates from college. That first sentence describes me. I would say that staying rooted in one place is important to enable quality social relationships to develop, which is a key part of most people’s lives. After all, humans are social beings. Though this research is too late for me, I now know better as far as my own daughter is concerned. She is, like me, on the more nervous and high strung side of things. I know what I need to do is to give her a stable, firmly rooted, non-transient, non-nomadic lifestyle. The kind of lifestyle I wish I had had while growing up. Well, there you have it. Now that I know what I know now, I am going to make sure my daughter has an easier life than I did when it comes to things that are within my control. Like moving, for instance. My husband and I will do our darndest (knock on wood) to have our jobs revolve around where we live. From experience and knowledge of the impact of decisions we make, we can try our best to pave the way for our children to have less stress during their formidable years, which are basically their school years, and minimize the risk for teenage angst the best we can. I want to minimize my daughter’s risk for depression…and postpartum depression when she hopefully has her own child(ren), God willing (so I can be a grandma). If we want to keep our children free of depression, along with nurturing, loving, encouraging and spending quality time with them, we need to minimize the stressors that they face within reason, especially as they go through adolescence. Be aware and supportive of your children’s school experiences and activities, and help them with any challenges they face. We can help minimize and even help prevent the onset of depression when our children are at their most vulnerable emotionally, which is during their adolescent years. 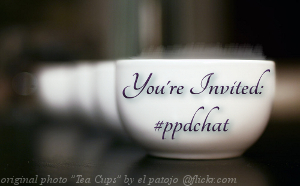 « When Will Clueless Comments about PPD Stop? Your blog is so well written and has given me so much hope, I couldn’t help but add you as a link on mine. Yes, please feel free to add me to your blog. And thank you so much for taking the time to read mine and leave me a comment! Well, thank you SO much for the compliment about my blog! 🙂 But first and foremost, I am SO, so glad to hear that my blog has helped you! You have no idea how good that makes me feel. I look forward to our continued correspondence! Are you reading my mind? Kidding. I was writing a post kind of sord of related… Coming out of this PPD nightmare I am realizing that my expectations of what a good parent should be like was definitely skewed. That expectation fueled that PPD fire like mad…because I had to be that “perfect” parent that my parents weren’t. I grew up with verbal abuse and those wounds cut so deep. Everything I did and do now is still not good enough. So being a perfect parent is what I strived for. I now know that a perfect parent is totally ficticious. Kimberly! Sorry I’ve been so out of touch. Hope you’ve been doing well! You’re absolutely right, there is no such thing as a perfect parent. We would all do ourselves a favor if we didn’t strive to be that supermom. There’s no such thing as instinctively knowing exactly what to do as a 1st time mom. We learn as we go, while at the same time striving to provide a better childhood experience for our kids than we had when growing up. And striving to enjoy motherhood, which means that if you have PPD, to get help as quickly as possible. Oh my gosh, Ivy. Me too! We moved all the time when I was a kid. This has made it very hard for me to develop and keep friendships, because I kind of gave up on it when I was younger. Katherine, I see we have another common bond! You seem to be doing really well at making friends nowadays….not to mention fans/admirers for the great work that you do for moms out there!